There may be no evidence yet, to show that Ayurveda can indeed cure cancer, but plenty of research is going into treating patients with integrated medicine in India. Recently, a patient who was battling oral cancer for a year is now, actually getting better, thanks to inclusion of integrated medicine in his treatment. The patient underwent radiation therapy for six weeks, after which, he was administered ayurvedic and homeopathic medicines, under the care of Dr. Isaac Mathai, an integrated medicine expert, and founder of Soukya Holistic Healthcare Centre. According to Dr. Mathai, patients when treated with integrated medicine are definitely responding better. Along with radiotherapy and chemotherapy, alternative medicine is prescribed for effective pain management. In this particular patient with oral cancer, he was administered an Ayurvedic Mouthwash, which significantly improved his condition. He was also administered salivation drugs. Similarly, HCG, a leading hospital in cancer care in Bangalore, has an integrated medicine wing. The in-house naturopathy doctors and yoga practitioners help patients in combating the side-effects of radiation and chemotherapy. According to Dr. Raghavendra Rao, Senior Scientist, integrated approach to cancer care, HCG, he gets atleast 25 to 30 referrals every week, and works on stabilizing the patient, controlling nausea and vomiting, and pain management. Every case is discussed with the oncologist. In a significant move in this direction, the Karnataka government will launch an Ayurveda clinic for cancer cure at Kidwai Institute of Oncology, the only government-run cancer care centre in the state. The Director of the hospital said that efforts are on to integrate various streams of medicine in cancer treatment. To begin with, Kidwai will offer clinical services along with chemotherapy, and will document the relief experienced by cancer patients after ayurvedic intervention. For instance, majority of the patients experience relief after administering wheat grass. According to Dr. GG Gangadharan, Director, MS Ramaiah Indic Centre for Ayurveda and Integrative Medicine, every cancer patient requires a specific treatment, considering the complexity of the disease. So merely starting an out-patient department will not work, unless the Ayurveda specialist gains expertise in one or two types of cancers. They should adopt a specialized treatment mode, and win the confidence of oncologists, and will have to constantly engage with them. 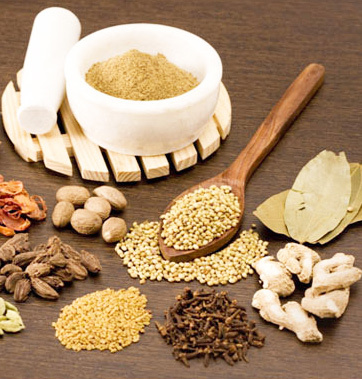 Dr. Gangadharan further said that as the treatment mode for each patient is different, there should be no compromise on quality of the medicine, and most drugs should be prepared by the Ayurveda doctor himself. Every patient’s treatment plan should be thoroughly prepared only on consulting with a panel of experts. He assured that complications such as nausea and vomiting and hairfall caused due to radiation therapy, can be considerably reduced. Dr. Raghavendra Rao of HCG cautioned that over-the-counter ayurvedic drugs that claim to cure cancer should not be purchased, as some of these drugs actually increase toxicity in the body. Any alternative therapy should be adopted only on consultation with the oncologist.